The Board of Visitors first hired Louisville, Kentucky, architects, the McDonald Brothers, who were already working on Christ Episcopal Church in downtown Charlottesville. 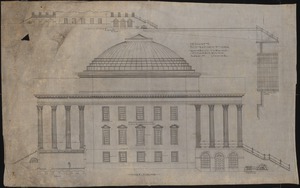 The McDonalds followed the Board’s wishes to rebuild the Rotunda without the Annex. 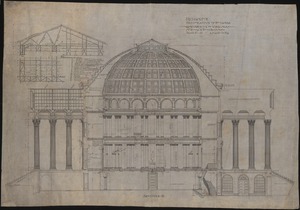 They conceived a new portico with cast-iron columns and a grand staircase for the Rotunda’s north side. Their plans for an elaborate two-story interior with multiple levels of cast-iron colonnades were more controversial. The Board of Visitors fired the McDonald Brothers after they miscalculated the structural stability of the ruined Rotunda.